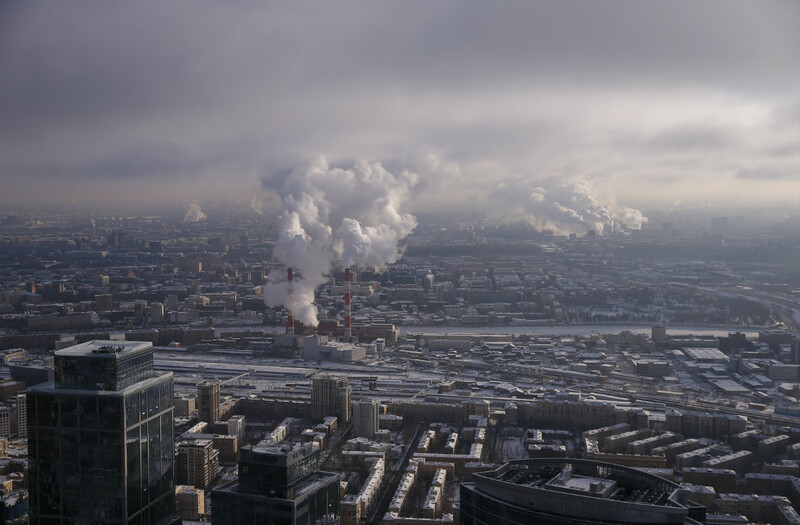 A view from the roof of the skyscraper OKO, one of the towers of the Moscow International Business Centre also known as "Moskva-City", Dec. 15, 2016. Despite the apparent bad news, some experts believe Russia has made much headway in recent years building crucial infrastructure that will soon allow the country to post rapid growth in the innovation sector. South Korea topped the 2017 Bloomberg Innovation Index published on Jan. 17. That country is far ahead of other major competitors - Sweden, Germany, Switzerland, and Finland. Russia dropped to 26th place from 12th place in early 2016. Bloomberg attributes this drop to sanctions and low oil prices. "Battered by sanctions and the after-effects of a couple years of subdued energy prices, Russia’s solid scores last year in manufacturing and productivity were destroyed in this year’s tally," commented Bloomberg. Russia's position worsened in three main areas – productivity, the added value of manufacturing, and the share of high-tech companies in the market's overall capitalization. In terms of other criteria, Russia's position practically did not change. "The decline in the first two criteria is an obvious consequence of the current economic depression," said Vladimir Korovkin, head of innovations and digital research at the Skolkovo School of Management in Moscow. According to the Russian State Statistics Agency, manufacturing in November 2016 was 97 percent of the level in November 2015. Korovkin believes that the drop in the third criteria occurred because Russia has a relatively small share of high-tech companies that are traded on the stock exchange. Out of the approximately 250 companies listed on the Moscow Stock Exchange, no more than 20 operate in the high-tech sector. "The sectors in which Russia is traditionally strong - defense, aviation, space, nuclear energy, etc. - are divided among state companies and are not present on the exchange, while most IT companies are private and not traded on the exchange," explained Korovkin. The Bloomberg index does not take into account all aspects of Russia's reality, noted Vladimir Pervushin, director of the department of innovational projects management at the Russian Presidential Academy of National Economy. He said that in recent years Russia has built the necessary infrastructure that will allow the country to take a big leap forward in the near future. These include the construction of regional technoparks, and fostering educational disciplines related to innovations.